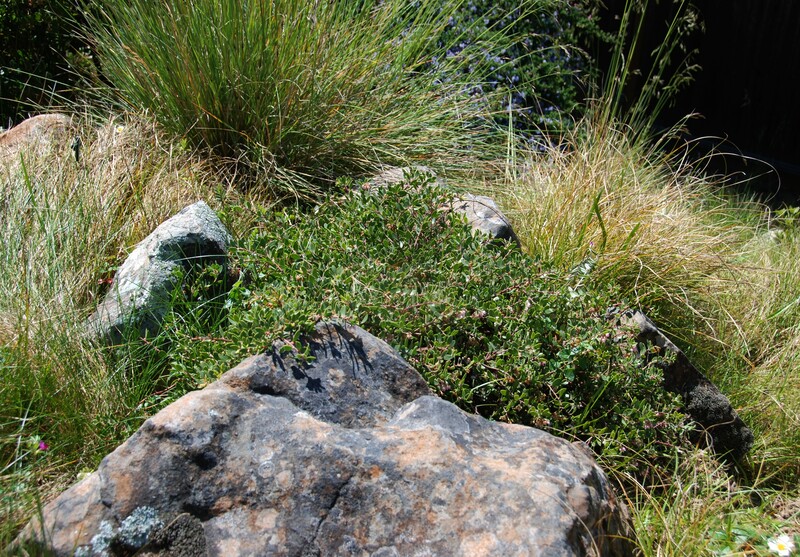 There are many species of arctostaphylos that can be used as a groundcover. Visit your local nursery to find ones that are appropriate for your area. 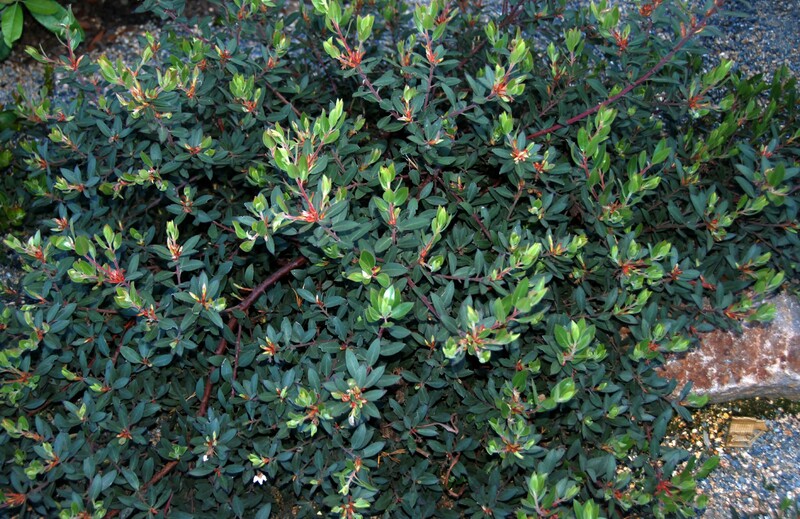 'Pacific Mist' is a gray-green sprawling ground cover that is very fast growing for a manzanita. 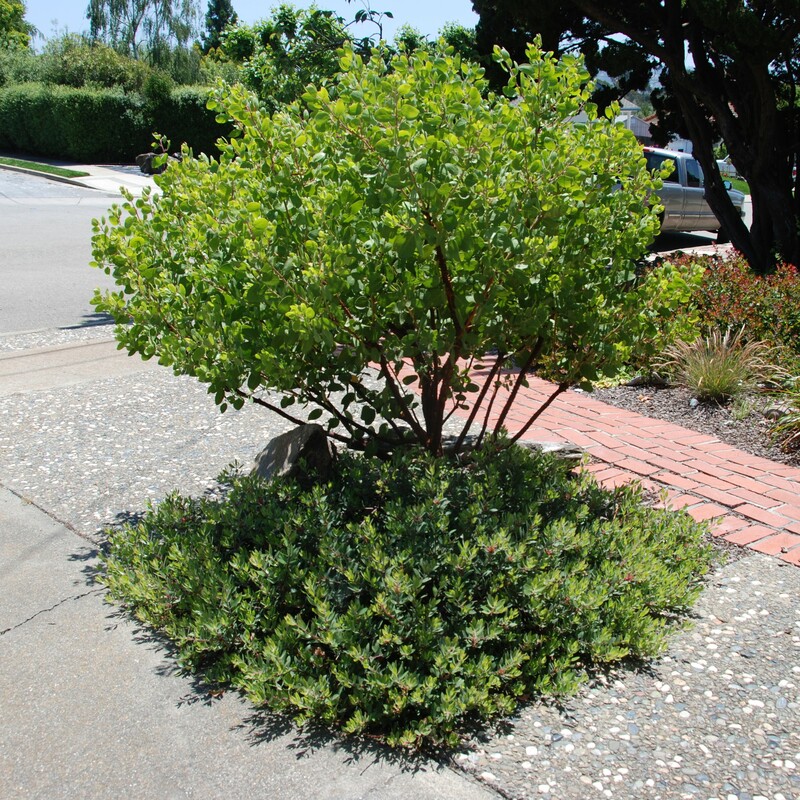 Plant where you need a low-water groundcover. Loves beach sand and tolerates clay. Water once a week in the summer in the interior. 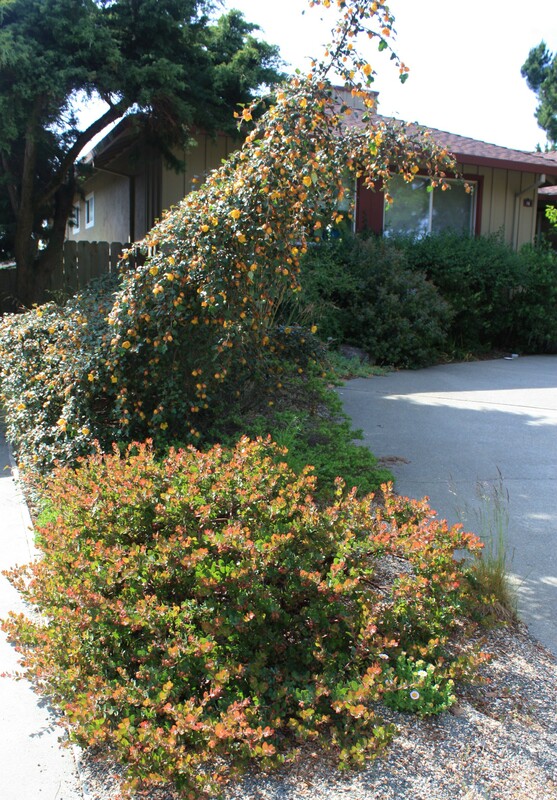 May need to prune occasionally to keep it neat in inland heat. 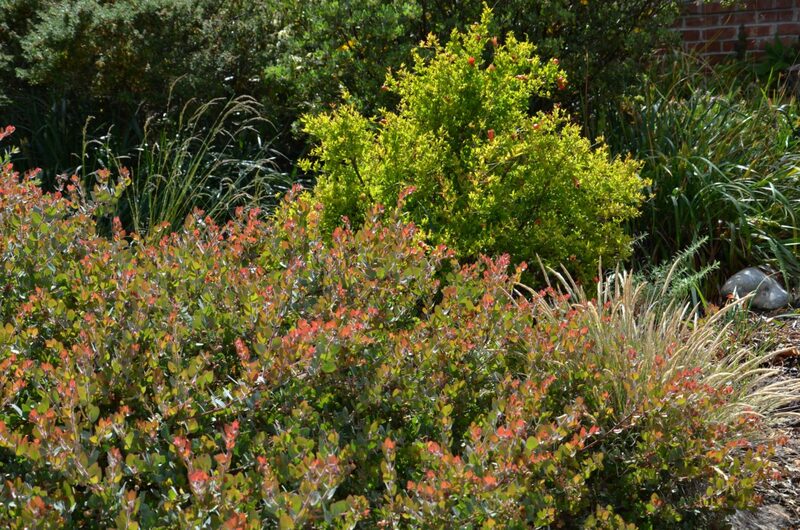 Sunset manzanita is a sprawling shrub that grows 3 ft. high and 6 ft. wide. It can be sheared down to 2 ft. tall. It is a natural hybrid of A. hookeri and A. pajaroensis. Prefers good drainage but tolerates clay well. Does well in adobe and many of the San Joaquin soils. Will look great for decades. 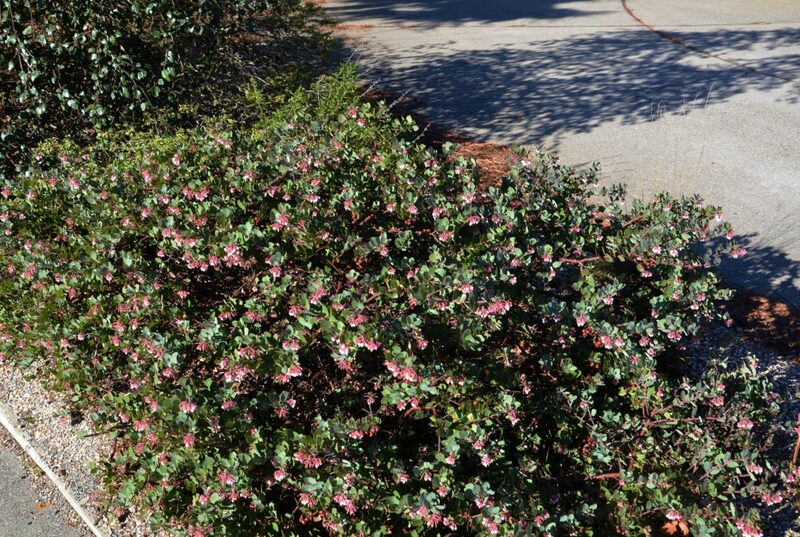 Arctostaphylos 'John Dourley' has a mounding habit 2-3 ft. tall by 6-10 ft. wide. 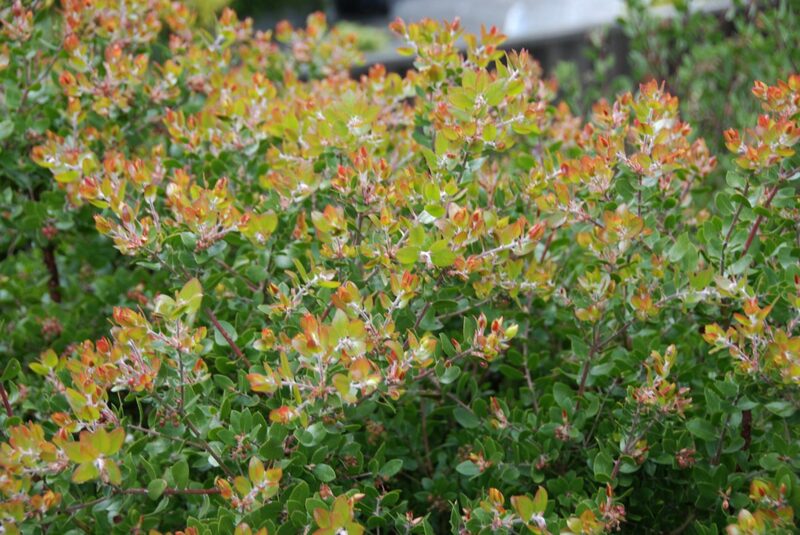 New leaves are orange-red and fade to gray-green by midsummer. Clusters of pink flowers over the long blooming season followed by purple-red berries. 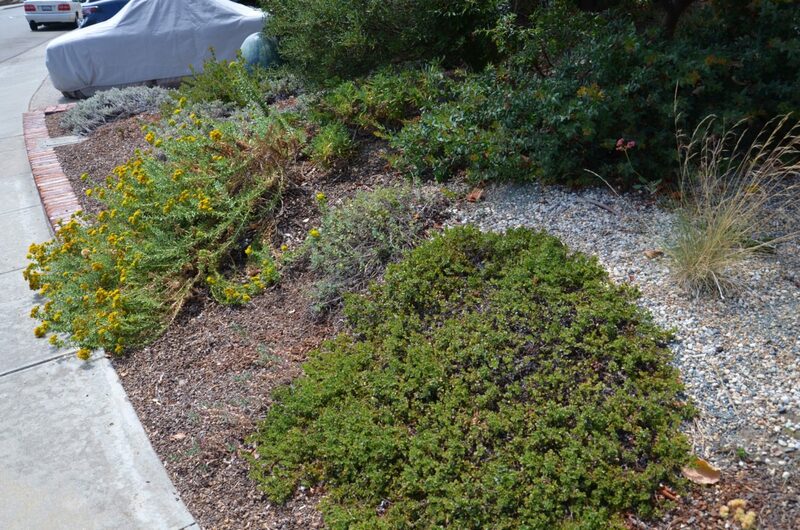 A dependable groundcover that will provide year-round interest. 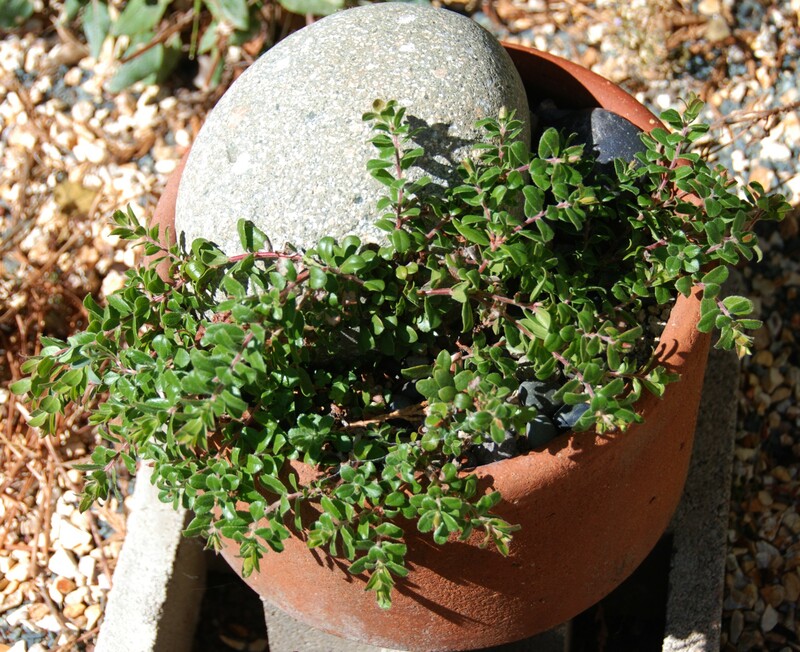 Arctostaphylos edmundsii 'Carmel Sur' grows 3 inches high with light green leaves. 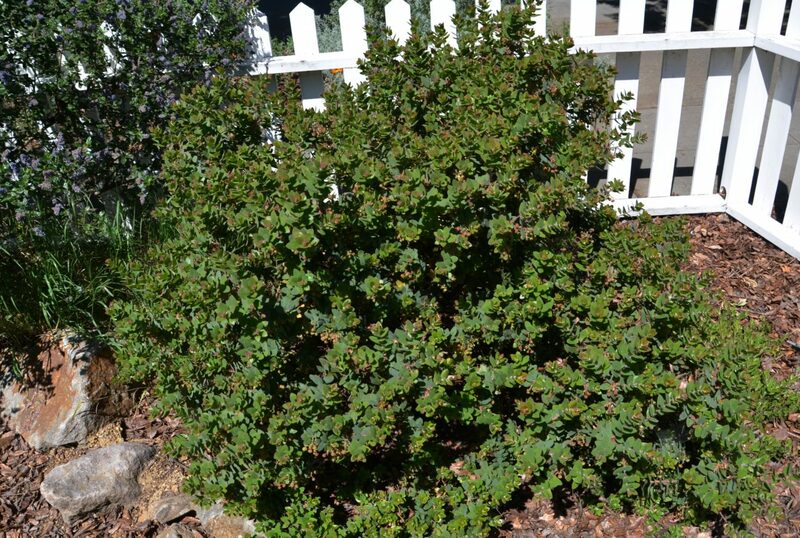 Plant in part shade inland to full sun with a little extra water near the coast. Likes good drainage (but not sand) and also likes adobe. 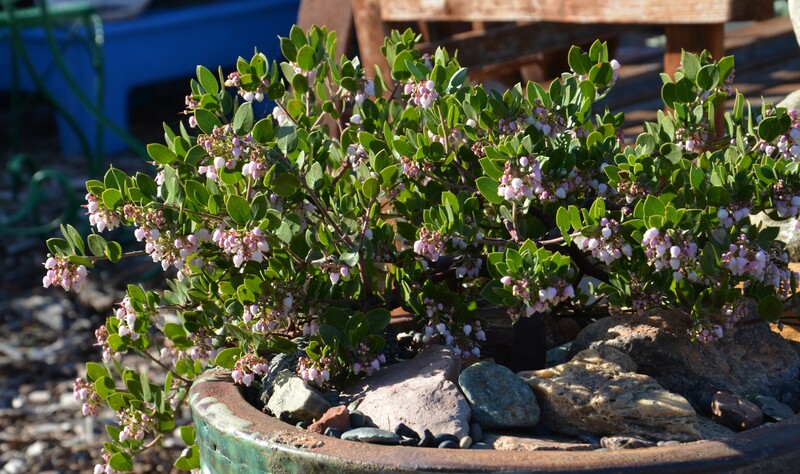 Fast growing for a manzanita. 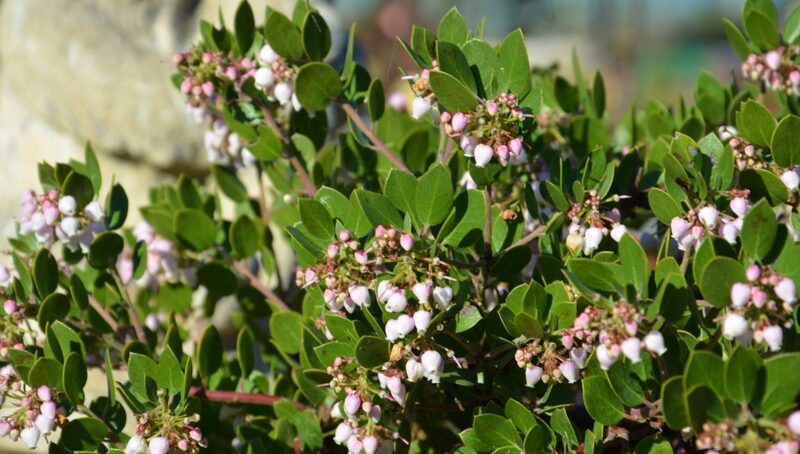 Arctostaphylos edmundsii 'Bert Johnson' (Little Sur manzanita) is a low growing manzanita introduced by the Tilden Botanic Garden. 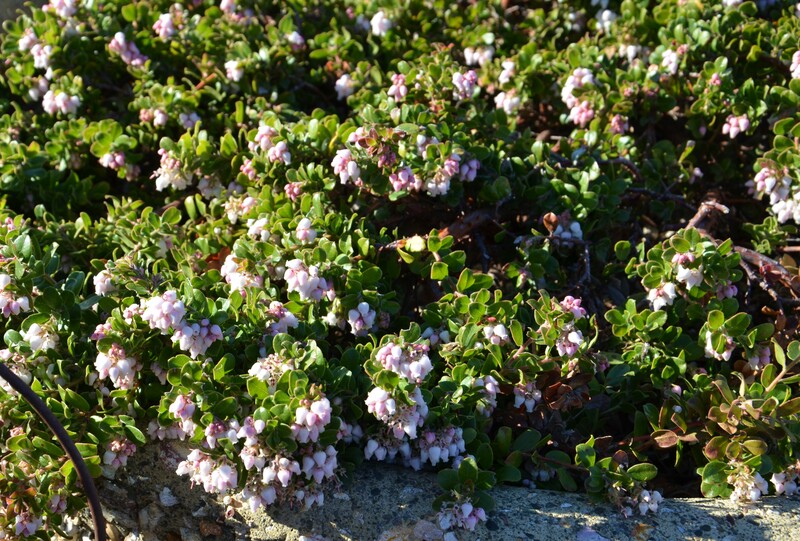 Grows 1-2 ft. tall and 6 ft. wide, making a fine groundcover for coastal gardens and hillsides. Not as fast growing as Carmel Sur. 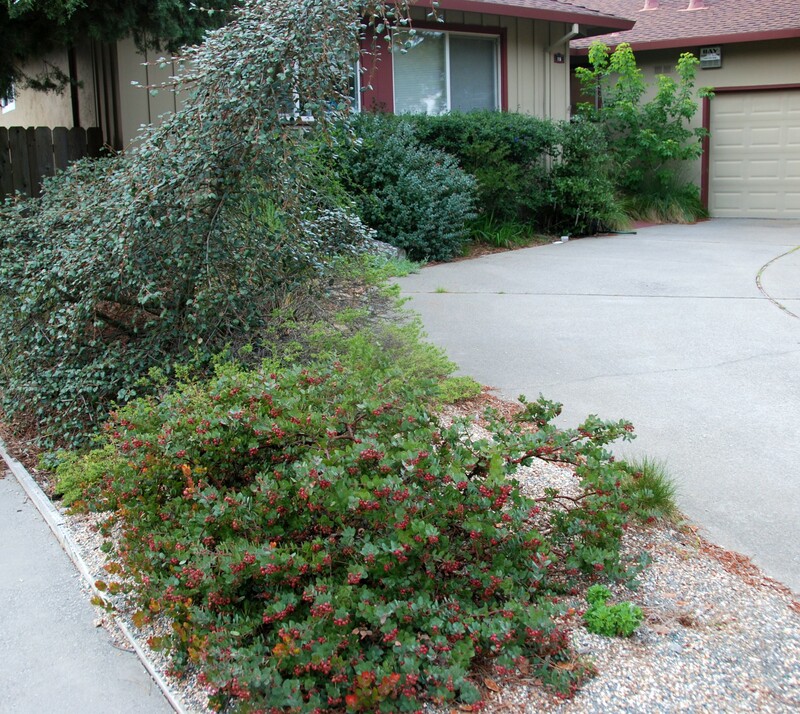 Adaptable and fairly garden tolerant. Full sun along the coast and light shade inland. Adaptable to heavy soils.